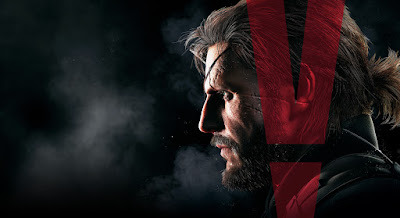 If you haven't followed my journey, after recently giving Metal Gear Solid 3, Metal Gear Solid Peace Walker, and Metal Gear Solid Ground Zeroes a try I eventually came to the conclusion that Metal Gear Solid V might actually be a game I would have fun with. This is despite the fact that I haven't had fun with a MGS game since MGS2. Ground Zeroes was what eventually convinced me to take the dive and purchase MGSV. I jumped in and almost immediately was struck with dread that I had wasted my money. The first sixty or ninety minutes of the game is the prologue and it's everything I hate about the Metal Gear Solid series. There are long boring cutscenes, unintelligible story, characters I don't care about, and railroaded gameplay that can only be completed in one way. Some friends on Twitter told me to stick with it and get past the first mission after the prologue. They were so right. As soon as you get out of the prologue and past the first "real" mission (which is actually more tutorial) then the game opens up. You get a list of missions, side ops, base management, travel options, and an open world. Having already been turned off by the prologue and first main mission I decided to try the side ops and was sucked into the game. I spent hours and hours just playing side ops and messing around in the open world. Then I reluctantly went back to the main missions and was surprised to find them super fun as well. It seems like they're structured much more openly after that first main mission. I've probably put six to eight hours into the game already and I've barely even touched the main campaign. I'm going to try to make some more progress on it going forward, but the important thing is that I'm having fun. I especially love that this is the first Metal Gear game that has a competent shooter built into it. You can start a mission sneaky, but unlike previous MGS games if things go wrong you can go loud and shoot your way out of a situation. It fixes the main gameplay issue I used to have with MGS, waiting around and hiding after being detected, and replaces it with a fun shooting component. But my absolute favorite thing in the game so far is the Fulton Recovery System. It's essentially a balloon that you can attach to enemies if you knock them out without killing them. It will inflate and fly them away into the sky... and then they'll be inducted into your secret army. Probably through brainwashing. That part doesn't really matter. The part that matters is how fun it is to knock guys out and send them away on balloons. I love it. I hope it doesn't get old as I continue through the game. Even being hours into the game I still feel like I'm scratching the surface. Metal Gear Solid V has a lot to offer. I'll report back in as I play more of it, but for now I'm having a blast.